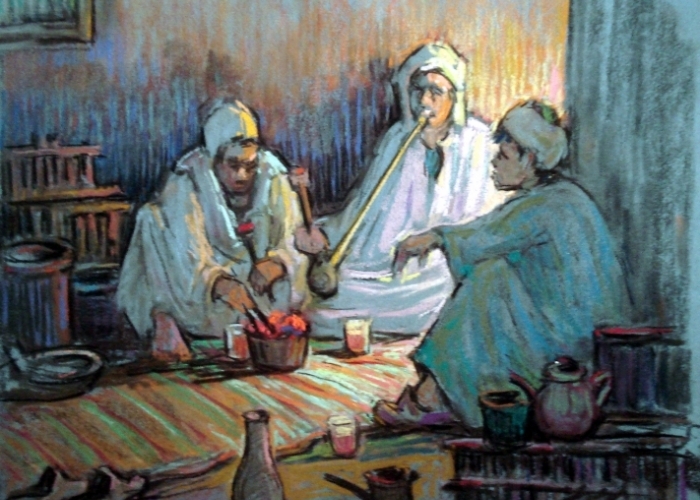 Eminent artist Mohammed Sabry (b. 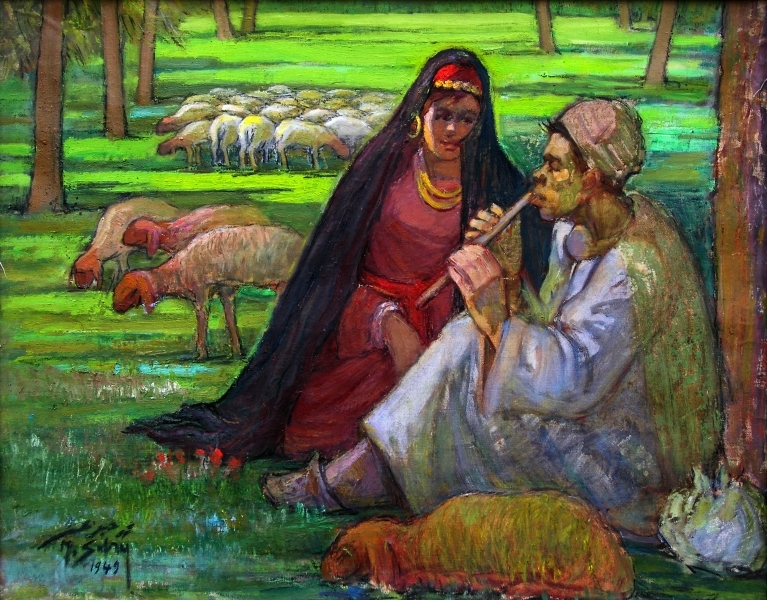 1917) is the star of the 20th century Egyptian Modern Art and belongs to the second generation of the Egyptian Art Movement. 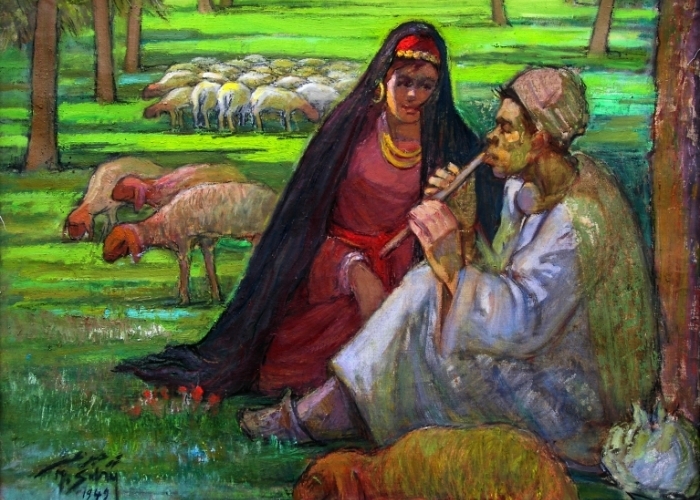 The artist had a long artistic journey which exceeds 75 years. 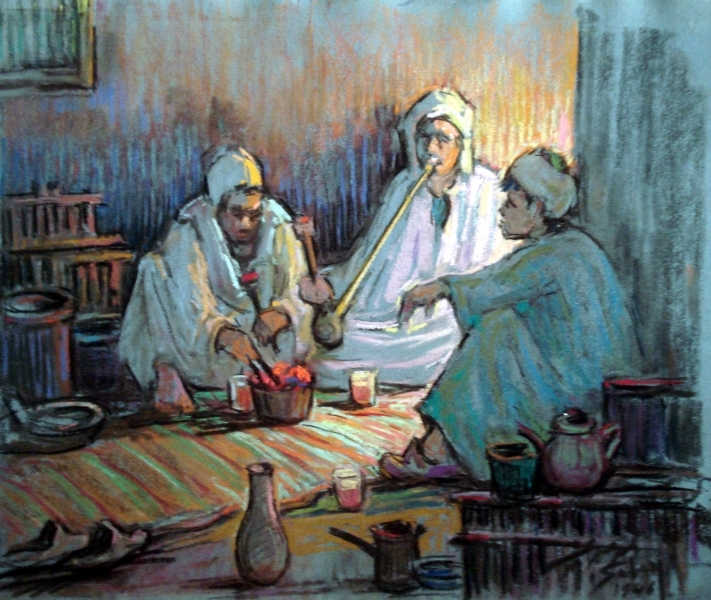 The artist has both oil and pastel paintings which include two of his major political artworks one of which is the Peace speech delivered by former leader Gamal Abdel Nasser in the United Nation Organization, and the painting `Signing of Cairo Agreement` in 1970 which features Abdel Nasser and a group of Arab leaders. 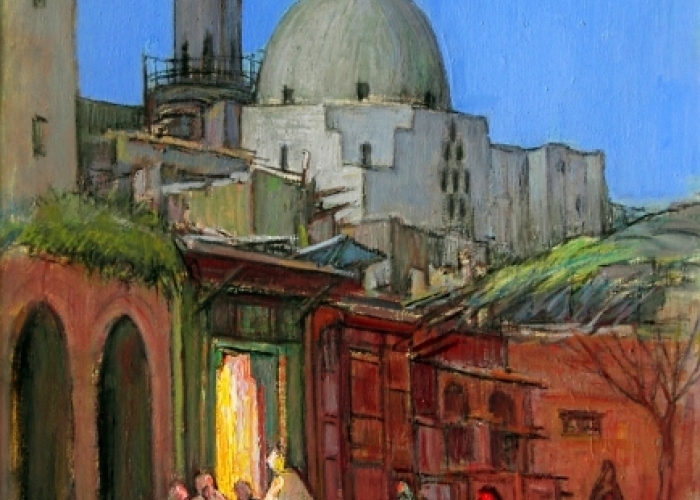 The artist spent a few years between the fifties and the sixties in Spain where he painted some of his best artworks. 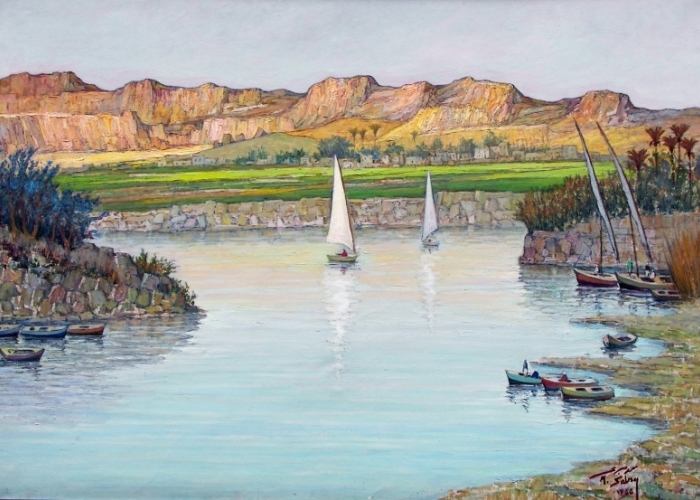 ​ For Mohammed Sabry freedom of expression means no control since it is that kind of freedom which requires commitment, and a true expression of his emotions, agitations, feelings and his will. 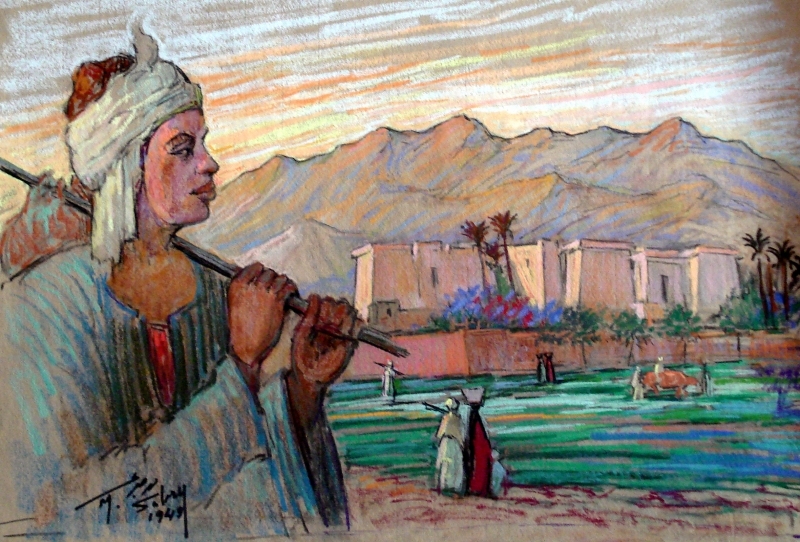 Mohammed Sabry`s art belongs to Impressionistic Realism which knows no deception; his true emotions are obvious in his paintings which feature folk districts and landscapes in Old Cairo, Aswan, Spanish and Moroccan regions using Pastel colors which he mastered and used to achieve his purposes in forming aesthetic values which he executes without any effort, hesitation or ambiguity. 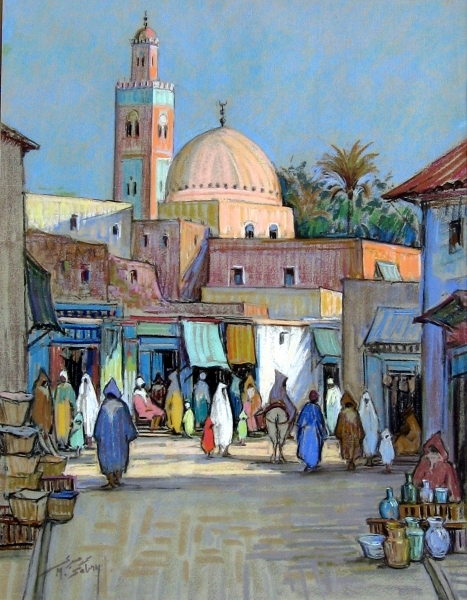 The artist has received many medals and recognitions throughout his artistic career. 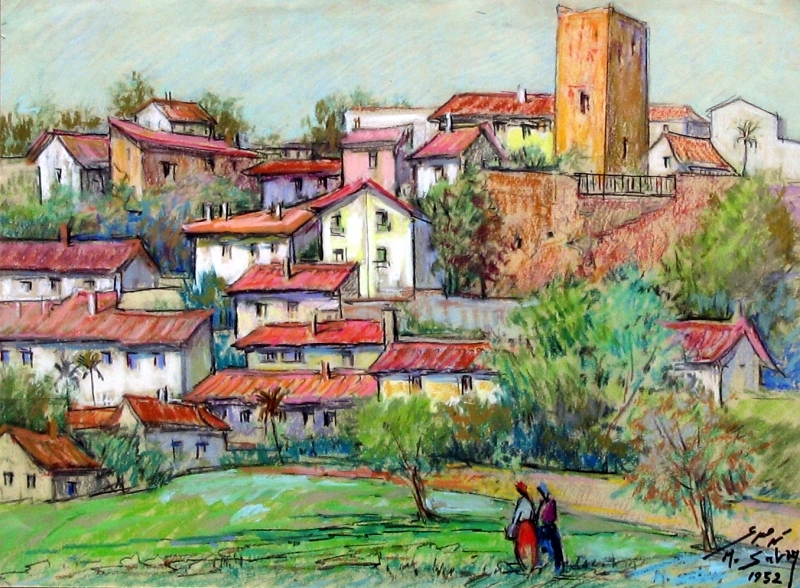 He was granted Merit medal of knight rank by the Spanish Government in 1961, the Arts and Sciences Medal of first rank, “Pastel Pioneer” in 1974 and was granted Queen Isabel Medal, by king of Spain as recognition of his art in 1988. 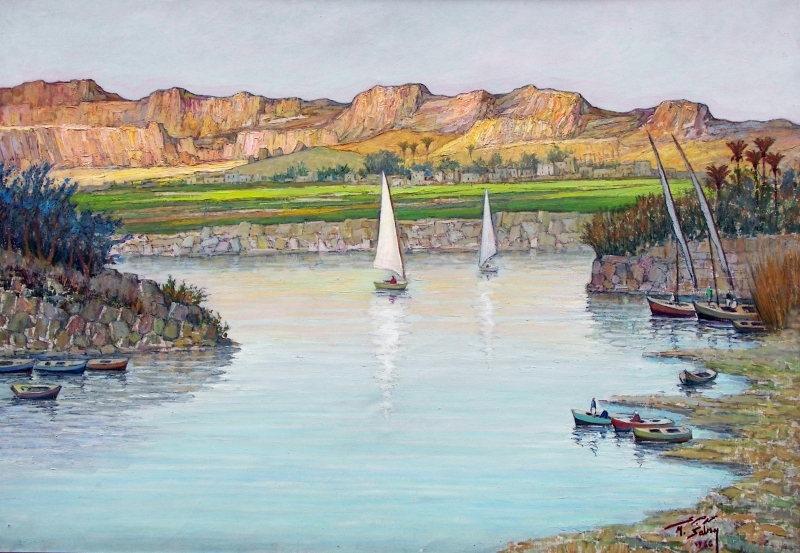 He has received an honor certificate from the Nation’s Assembly for his painting “The High Dam” that had been gifted to the Supreme Soviet Council under title of Egypt, 1970. 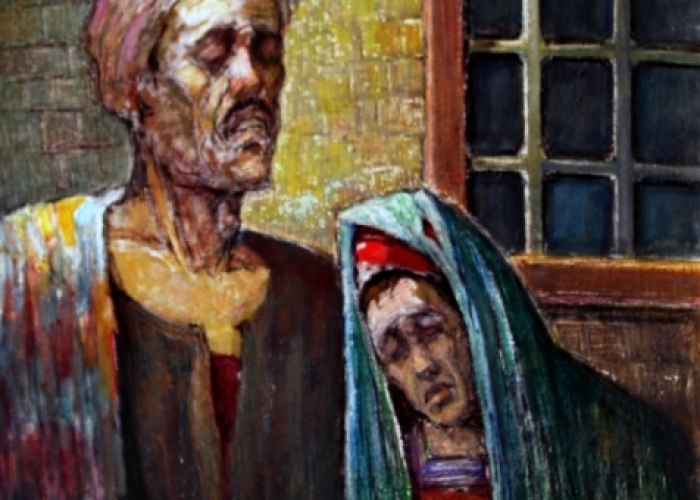 He was granted recognition by the president for his painting ‘The Great Crossing”, 1983. His painting ‘Queen of Spain”, had been admired by president Anwar al-Saddat, and was then presented under title of Egypt to King and Queen of Spain in their visit to Egypt. 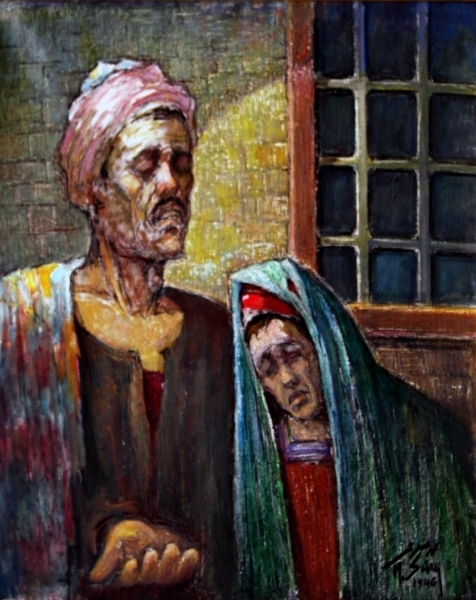 He was commemorated by the Egyptian Ministry of Culture and granted the pioneer fine arts Sash and Certificate of Merit, 1995. 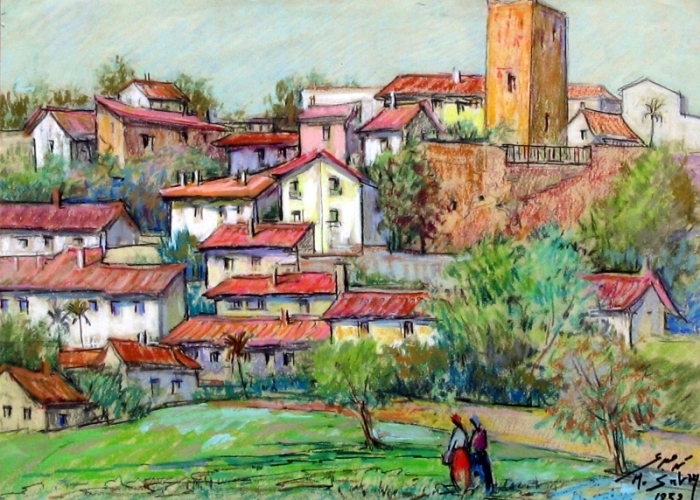 He was granted many awards and his international recognition include: Top prize for painting from the Autumn Salon in Madrid, 1964, Medal and diploma of the San Fernando Royal Academy in Spain and he was nominated as ‘the international man of 1993’ by The International Biography Institution in Cambridge. 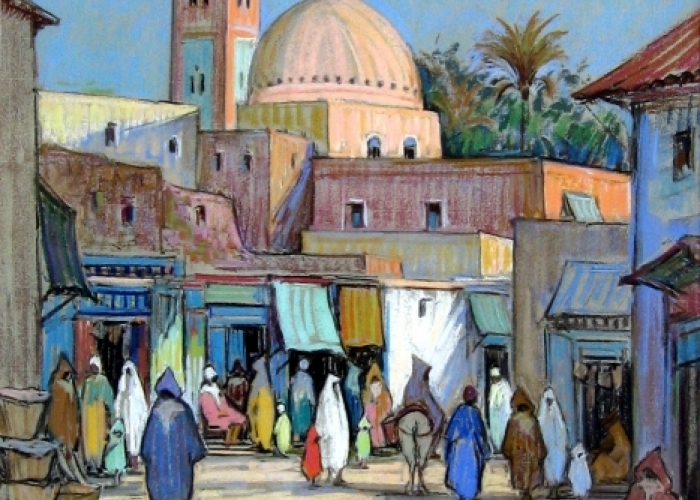 Private Acquisitions of his art include collections of many Egyptian embassies abroad & collections of art lovers in Egypt, Spain, Italy, France, Germany, Switzerland, Portugal, India, Morocco, USA, Bahrain, Qatar, Oman, Kuwait, and Saudi Arabia. 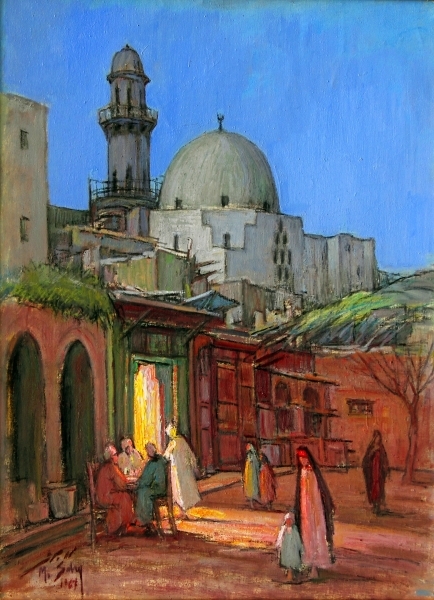 State Collections include: The Egyptian Modern Art Museum in Cairo, Museum of Abdeen Palace – Cairo, Al-Jawhara Palace – Cairo, Museum of San Fernando Royal Academy – Spain, Museum of the Royal Palace ‘Trefoil’ – Spain, Black Bern City – England, Ministry of Affairs – Rome – Italy, The Supreme Soviet Council – Moscow, The Egyptian Ministry of Culture &The Egyptian Foreign Ministry.